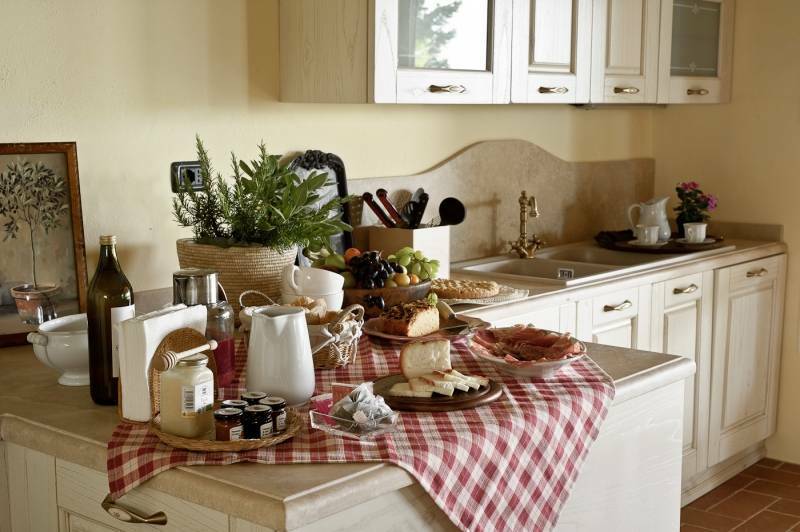 The organic farm is located in the hearth of Tuscany, in the Crete Senesi region, 2 km far from Rapolano Terme and the Spas. Ancient documents testify that the farmhouse already existed in 1372 and was owned by the Monte Oliveto Maggiore Abbey. 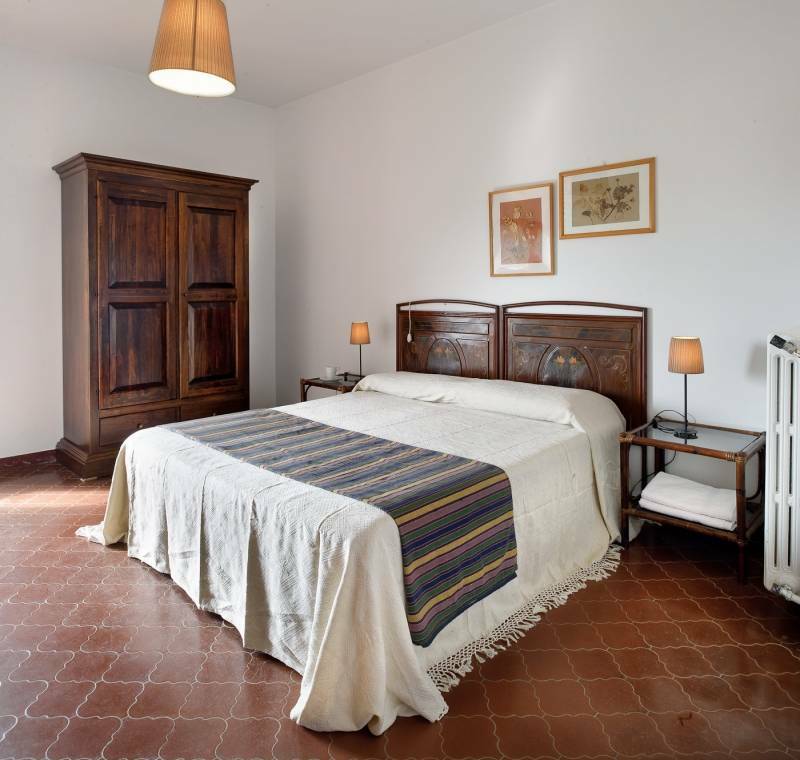 The farmhouse is in an ideal position for one day trips to visit the main tuscan towns. The owners rent 3 completely furnished apartments and one double bedroom. At guests' disposal swimming pool, equipped garden to enjoy sun and relax, barbecue, playground. 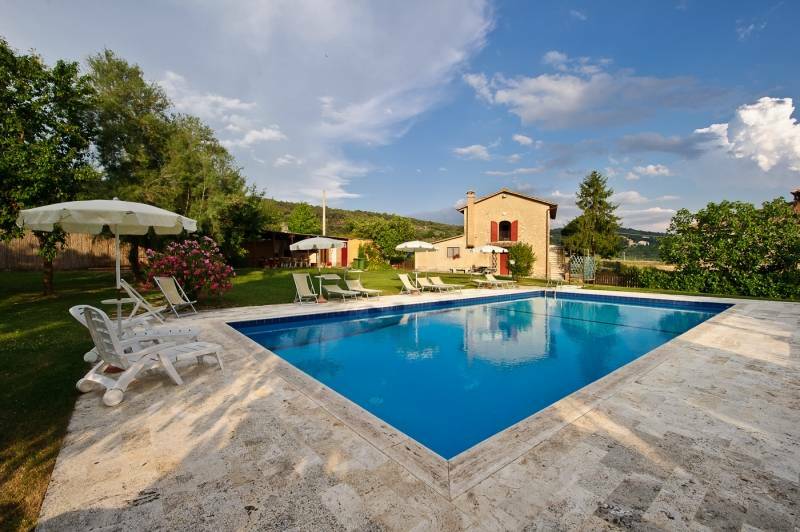 A very quiet place where, in a comfortable and familiar atmosphere, you will be able to enjoy nice days surrounded by the sleepy and charming tuscan countryside and ed sunsets. In Rapolano Terme there are all services and stores and two Spas with thermal pools, massages and mud threatments. The farm produces organic cereals, vegetable, pulses, honey, and DOP extravergin olive oil. Apartment 202 - 3 places. Sm 30. Ground floor. Double bedroom, living room with cooking area and sofa bed, bathroom. television, heating. Welcome to the worlds most photographed panorama! There is indeed no piece of this landscape left that has not already become a snapshot. A wide sea of clay spreads out over the countryside Southeast of Siena: one evocative, soft hill follows the other, the few forests leave space to the endless stretches of wheat fields and grassland, able to change their colours with the succession of the seasons. The Crete Senesi are indeed a quite different world. Someone has defined them as moonscape, but only because he hasnt seen them in spring, when the explosion of nature makes the fields become green waves, caressed by the wind, or in autumn, when the farmers ploughs bring the clay back to the surface, with its beautiful violet shimmer. The Crete are, without doubt, a land of agriculture. In the first place a land of wheat and land of the shepherds. Not by chance its famous for its sheeps milk cheese, unique like the unmistakable flavour of the wild herbs that give their aroma to the sheeps milk. 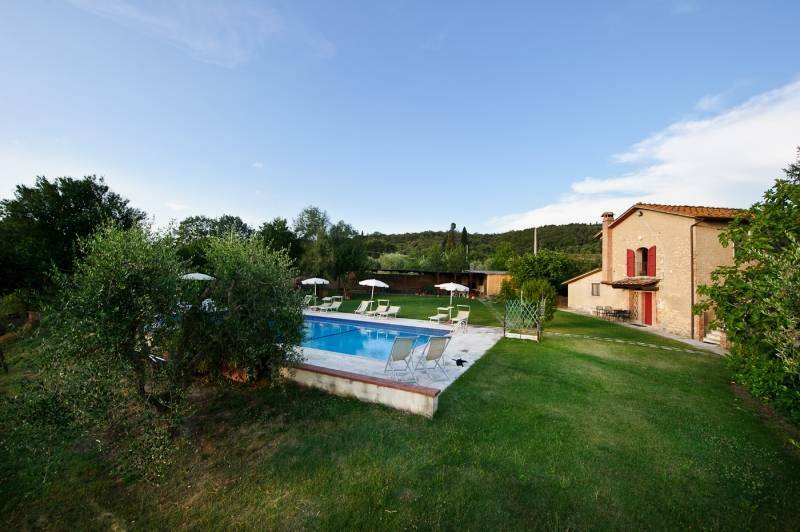 Land of olive groves that produce the fine Terre di Siena oil with guarantee of origin (Dop). And right here in the area of the Crete one of the rarest and finest white truffles of Italy can be found. In this clayey region with its endless horizons we do not find a lot of stone. Almost everything is made of bricks and therefore made of clay: the beautiful farmhouses that stay isolated on the top of a hill, lined by high cypress trees; the magnificent monuments that mark the territory like cardinal points, from the Abbey of Monte Oliveto (spiritual headquarter of the Crete Senesi, with a marvellous cloister with 16th century frescoes by Sodoma and Signorelli) to the fortified medieval storehouse for wheat Grancia di Cuna, from the castle of San Giovanni dAsso to the city walls of Buonconvento. 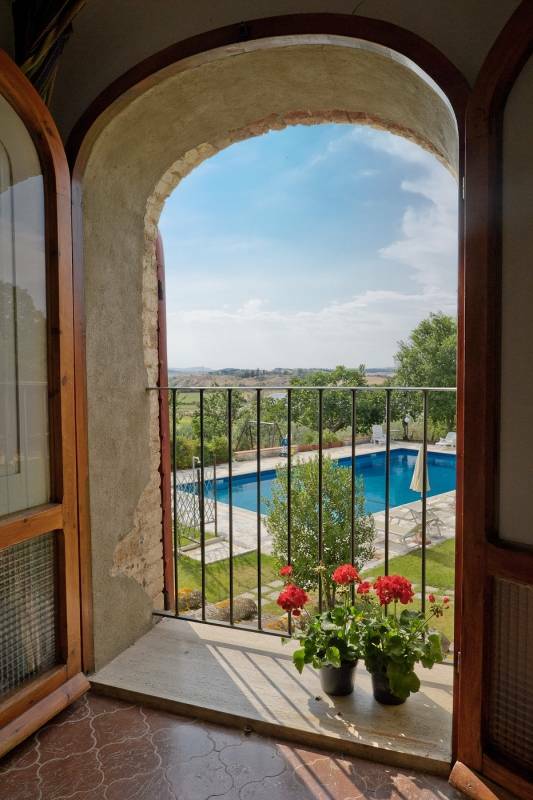 Only around Rapolano, land of the hot springs and the travertine, stone is a protagonist. Stone and bricks meet harmoniously in Asciano, chief city of this territory centuries ago, where we can admire side by side the Sienese city walls of the 14th century, the Romanesque architecture of the Basilica of SantAgata and the artistic treasures of Palazzo Corboli, a glorious medieval city palace that today houses a rich museum. The balance has to be paid immediately on arrival at the farm. In case of booking cancellations due to circumstances beyond our control within four weeks before arrival the fee will be the 30%. The 30% fee for group bookings (more than 8 people even if they are of the same family) and joint bookings regarding more apartments will not be returned in any case. In case of no show the cancellation fee is the 100%. From the motorway Siena Bettolle exit at Rapolano terme. Drive straight crossing the village until you reach the fork To Asciano, here turn right, continue straight going beyond a bridge under the railway and going along a slope, on the top turn left, going beyond a bridge over the railway. Continue for about 500 m and turn right when you see the signs for Podere Pereto at a fork with 2 cypresses.